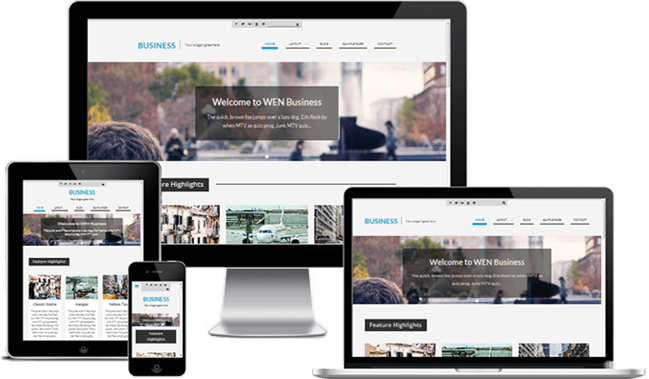 WEN Themes proudly presents WEN Business : a spacious , generous , Corporate theme that offers convenience to anyone setting up the theme . Simplicity and roomy sections , all well-knit to deliver an exceptionally personal , professional or private showcase . Powering the build , is the in-house responsive framework that offers features that suffice a lot of needs and that is convenient to operate upon as well . 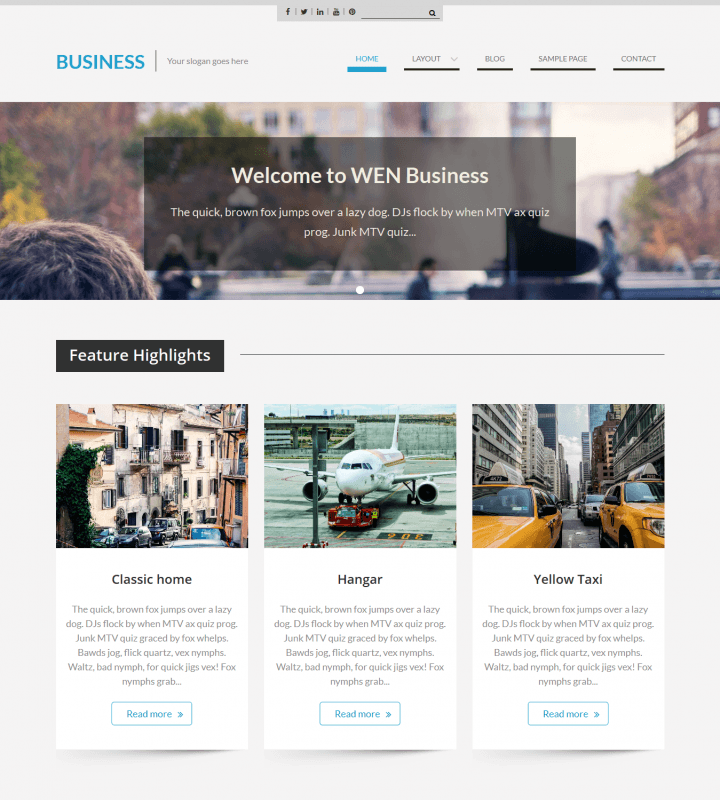 This time its a one-layout header , clean menu , slider , focused content , pretty effects , portfolio showcasing , testimonials , neat footer all following fully responsive patters . The code / setup is easy to customize and extend by various hooks offered in the build – those that help any technical person add further extensions on the base of an awesome build . This is a theme that works toward simplicity in setup , ease in use .